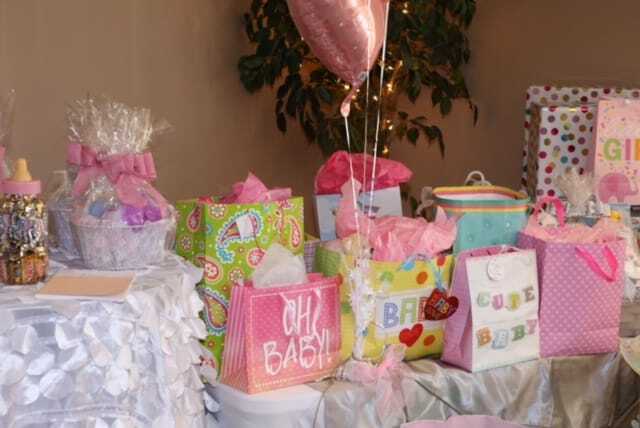 Baby showers are an honor for every expecting parent. The birth of a new baby is an exciting time for all family members and friends. We all love to celebrate life and welcome our newest additions to the world and into our family in a fun and exciting way. What a joyous and happy moment for all! As with all events and gatherings, some people choose traditional showers while others are current and contemporary. Traditionally only women came to baby showers and these showers were only held for new mothers anticipating her first child, however, this is not a rule in modern times and these days some women have showers for each new child. After all, every life deserves a celebration! Before, the expecting mom was showered with gifts that were not usually for the baby but for herself. In modern days, co-ed showers are becoming more popular and everyone is welcome at the baby shower. Also, the gifts are brought more for the newborn baby and sometimes the expecting parents like to await the birth of the baby so their little one can be the guest of honor and make a grand entrance when meeting their new family. The Event Room recently hosted a baby shower for Gary & Jennifer Collins on the upcoming arrival of their little princess Jayce! Their families came from near and far to gather and celebrate this special time. 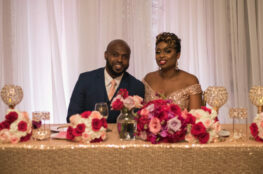 Baby Jayce’s shower was full of sugar and spice and everything nice, from the pink and white decorations and elegant table settings to the personalized party favors. 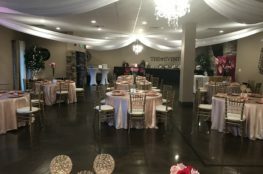 The Event Room was honored to host this event. Thank you to the Collins family for sharing your experience with us and congratulations on the newest addition to your family. At the Event Room, we design a welcoming shower room and banquet hall that fits your needs and theme. We also coordinate with you to present your decor in a way that fits your personality and style. Whether you want elegance or fun, we are here to help you achieve it. 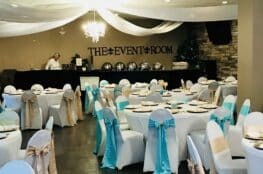 The Event Room is happy to help you with your planning. Along with baby showers, we also host wedding showers and bridal showers. Plan your next gathering or event with us! For more information on our event venue and the different packages we have for events, check out The Experience page on our website.